Advocate Amit ChanchalJha, accused of physically abusing a female Advocate and also behaving indecently before the Registrar of the Delhi High Court on January 13, 2012 had approached the Supreme Court against the Delhi High Court order. After the incident, the Delhi High Court had initiated suo-motu contempt action and had ordered that he cannot practice in any court in Delhi for the next three months. The High Court also awarded a week long jail term. It has been held by the High Court that the act of the Lawyer lowered the majesty of the Court and interfered with judicial procedure amounting to Contempt of Court. 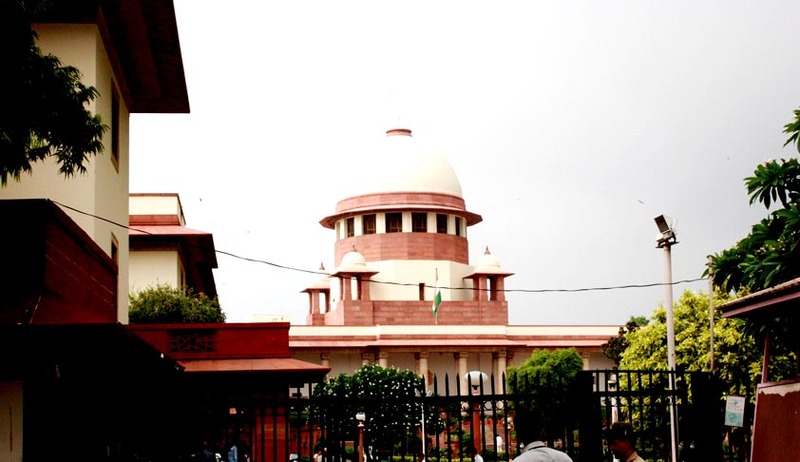 However, his appeal could not find favour with the Apex Court as the bench of Justices T S Thakur and Adarsh K Goel held that there was no ground to interfere with the Delhi High Court order. Reportedly,in the appeal, grounds were taken to the effect that the act done did not fall within the Contempt of Court Act, 1971 and that the Registrar was not present at the time of incident. It was also submitted that the Lawyer regretted his conduct and that only Bar Councilhad the authority to initiate action against him. However, the Apex Court did not see any merit in the submissions made and declined the appeal. You may read more of our coverage on Contempt of Court here.